Data, Data everywhere, but do you have enough storage space? Today storage space is cheap, so most don't even give storage a second thought. When it comes to Salesforce you should or it could cost you. First and foremost let's talk about limits. Salesforce breaks Storage limits into two groups, Files and Data. Files includes files in attachments, Files home, Salesforce CRM Content, Chatter files (including user photos), the Documents tab, the custom File field on Knowledge articles, and Site.com assets. All Orgs will receive an initial 10GB of file storage. Additionally, each user license is granted additional file storage. For Professional edition, you get an additional 612MB per user. For Enterprise and higher, you get an additional 2GB per user. Data Storage capacity, similar to files, is related to the number of users your organization has. At minimum every Org is allotted 1GB of data storage space. Then an additional 20MB per user after the initial first 10 users. I know in today's Data heavy world, that doesn't sound like a lot but to put it into some perspective, our instance of Salesforce has over 30k records across objects and we're using a whooping 6% of that 1GB Storage. So how do you know how much storage space you've used and how much space you need? Great question! If you're an Admin, you can go to Setup and type "Storage Usage" into the quick find search bar in the top-left. Select Storage Usage, and Viola. Once you've found this treasure trove of infomation you can extrapolate out your data usage in order to anticpate your future storage needs. If I created 6,000 leads since the start of my org 3 years ago and it's using 50MB for those 6,000 leads then 50MB/6000Leads=.008MB per lead. If I'm creating an avg. of 2000 Leads per year, that means I'm consuming ~16.67MB per year for just my leads. You can do this for all the major objects that consume data to determine after what period of time will you run out of space. Don't forget to account for growth, and other factors that may speed up this usage. Also remember if you add more users that may increase your capacity. So what can you do to lower your usage? Several things. 1) You can reduce the number of fields on each record. UPDATE: This isn't accurate, adding or removing fields will no longer reduce data storage size. See this help article for the exact sizes of each record. 2) You can Deduplicate your data. Often time your org can accrue thousands of dupes if you're team isn't careful about checking before adding new records. A good cleansing on a routine basis can help keep your storage low. 3) Take a look at your integrations and AppExchange Apps. Some of these can be real data hogs. For example, Mail Chimp, their tool is great, their Salesforce integration, not so much. It's functionality is limited and is a huge data hog. 4) Routine Purging. I typically don't advocate for deleting records in Salesforce but sometimes it makes perfect sense. Do you really need that closed case from 10 years ago. Or that lead that has been marked unqualified for the last 7 years? Chances are, they aren't coming back. Only you can know what's worth keeping and what's not. But you don't need to be a hoarder. Sometimes you need to let it go. If you don't feel comfortable just deleting things you can always export them and store them elsewhere for safe keeping, and then delete. 5) Move File Storage Elsewhere. File Storage often isn't the main issue but if it is for you, then you can always host them off site. Most cloud storage options have integrations with Salesforce. Box.com has its own integration. Cirrus Insight has an integration with Google Drive that we think is invaluable. And, if after all that, you still need additional storage, you can always purchase more. And on a final note. 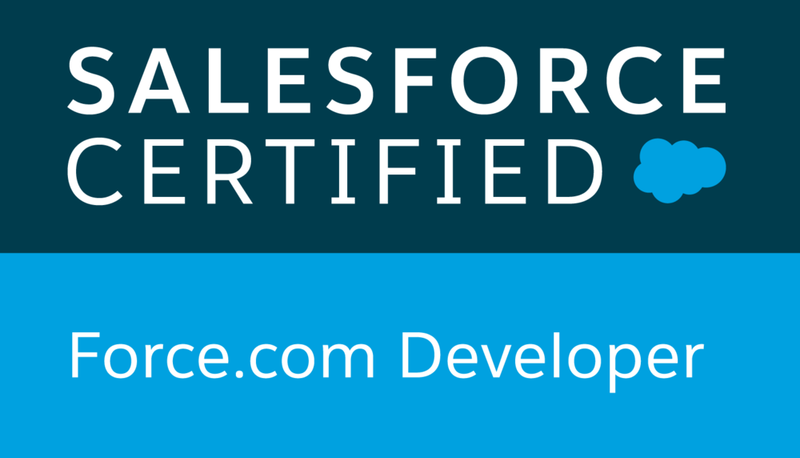 If you are migrating to Salesforce for the first time from another system. Consider what data you absolutely need to bring over. You don't want to start your new instance having already consumed way more data than is necessary.